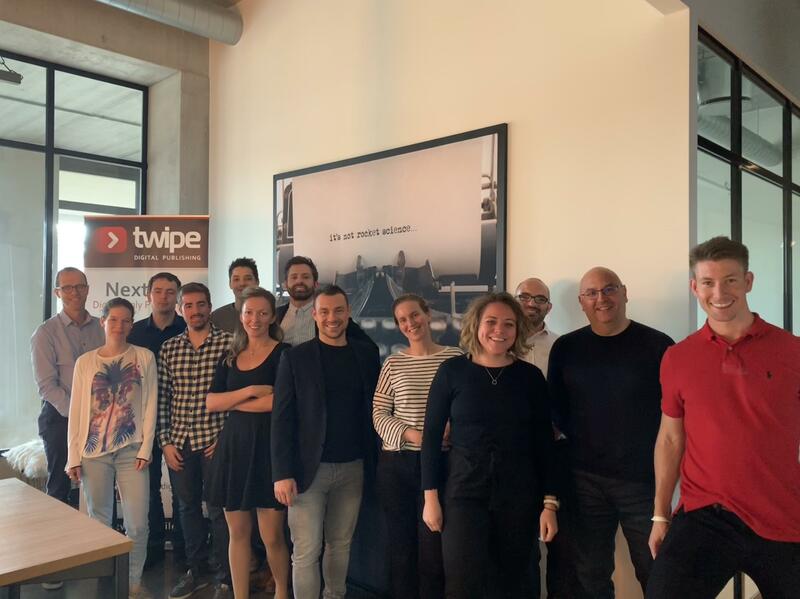 Last week Jasmien Lismont, Project Manager and Data Scientist at Twipe, presented the first insights from the “JAMES, your digital butler” project at ConTech in London. In the year since it was announced as a recipient of Google DNI funding, we’ve heard a lot of interest in the industry about our collaborative project with The Times & The Sunday Times so we’re sharing a peek at some of the findings discussed at ConTech — further insights will be shared in Q2 2019, sign-up to be the first to hear. In short, JAMES enables personalised distribution of digital editions to help accelerate digital growth. He transforms conversion and engagement strategies by moving from segmented to highly individualised interactions with readers. Using machine learning and artificial intelligence, JAMES gradually gets to know the habits, interests, and preferences of readers. He then exposes readers to relevant content in editions in their preferred formats, channels, times, and frequencies. This helps to increase reader satisfaction and engagement, in turn accelerating subscription growth and reducing churn of existing subscribers. JAMES will provide subscribers with tailored experiences, using entirely new creative content formats, resulting in higher satisfaction and increased product engagement. The actual content in each edition from The Times & The Sunday Times is constant, and is not personalised by JAMES. What is different for each reader however is how they reach the edition, whatever the trigger may be. More than 6 million personalised mails have been sent over 16 experiments, reaching roughly 60,000 subscribers. The team behind JAMES follows the results of each experiment closely with daily dashboard checks, and every few weeks a more elaborate analysis is done with statistical analyses, including monthly comparisons against the baseline. Then in the next iteration, algorithms that are performing poorly are cancelled, while well-performing algorithms are maintained, or even further enhanced by combining newly gained insights from the data analyses. With fast algorithm development, it is essential to have a daily follow-up of some key metrics, such as number of sends, which can quickly show if everything is technically going well. Opt-outs is also an important metric, helping to highlight any issues. While it is still early in the project, the first results show that JAMES is able to increase activation of digital readers and as it learns, more subscribers are opening and clicking on the newsletters. At ConTech, Jasmien presented learnings from the first half of the project, further insights will be shared in Q2 2019 (sign-up to be the first to hear). We look forward to sharing more insights and results from this project in 2019, in the meantime if you have any questions or comments please do not hesitate to contact us. To stay up to date on the latest developments with JAMES, please subscribe here. This entry was posted in Industry news, Twipe news and tagged analytics, artificial intelligence, Digital Growth, Digital Strategy, digital subscribers, Google DNI, Innovation, The Times. Bookmark the permalink.